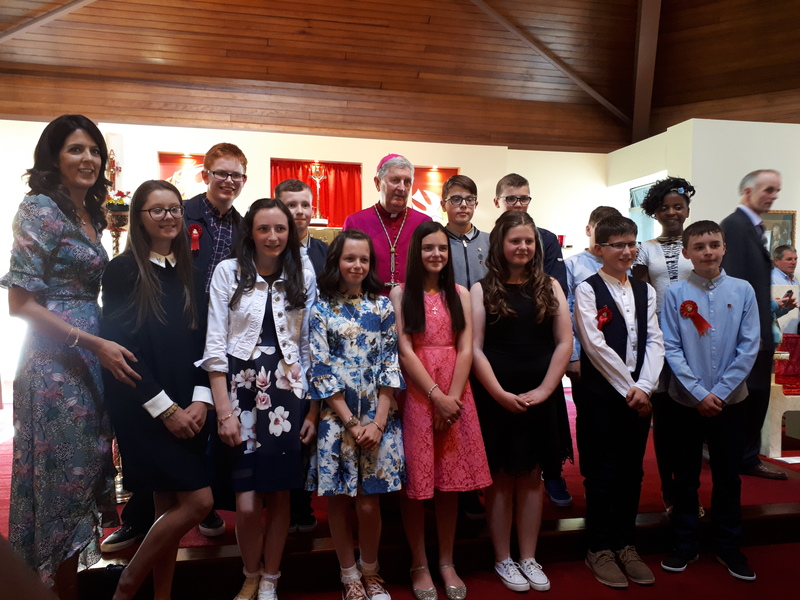 Congratulations to Eva, Ben, Martin, Anthony, Lauren, Sophy, Lei, Hailey, Cian, Brieanna, Aaron, Emily, Matt & Robert who were confirmed by Bishop Smith on Friday 18th May in Nobber Church together with the Sixth Class pupils from Nobber, Kilbeg & Castletown. Thank you to everyone who helped prepare the children for this sacrament and who attended the ceremony. We are all incredibly proud of them.